My pal Michael Nobbs suffers from Chronic Fatigue Syndrome and yet is a creative and productive artist. We had a chat recently about how he does it and how we can all use his techniques to get more done each day. 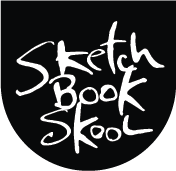 Michael is also a teacher in the newest kourse at Sketchbook Skool. If you would like to more tips, suggestions and perspectives from him and our other new fakulty, check out Expressing at SBS.com. Previous Post Happy New Kourse! I love Michael and his podcast is a continual daily prompt for me to do some work, no matter how bad I feel! So encouraging to me, a low energy person also. Thank you! That is really good advice. Having an appointment with yourself. Yes. Thank you! I second that! I feel like no matter what there is never enough hours in a day. I feel I have to make an appointment with myself sometimes! I think about art all the time and draw in my journal often which I carry everywhere but Michael is right. I need to time things to refine things. I need to re-work my ideas. I have avoided that because it takes time. My sketches take ‘no time’. I think I need polish of some sort. People respect art that looks more polished. Very inspirational! Getting my timer now! Hmm, now what to sketch!! How do I find Michael’s podcast? I use the timer on my stove as motivation to get most things done. I need to create but I also need to make dinner. I too, only have so much energy for either. So, depending on the day I’m having, I set my stove timer for _____ time up on my feet for chores and______ time down in my seat for fun = create. It works most of the time. Baby steps.